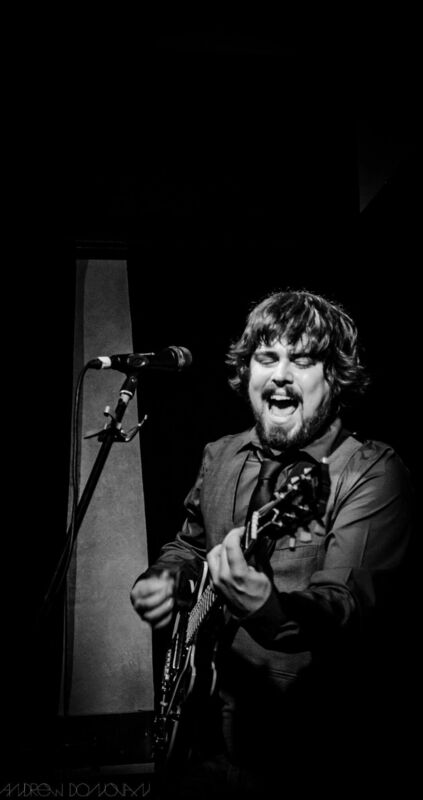 For the last 17 years Timberlea, Nova Scotia's Rob Anderson has been cutting his chops all across the world as a singer-songwriter and as a guitar player/singer with the country-blues band E.B. Anderson and The Resolutes. Most recently, Rob has been performing throughout Canada, Hong Kong and Japan. Anderson's debut EP, The Storm, captures his high-energy, story-telling, leave-it-on-his-sleeves live show in seven poetically written and arranged tunes. 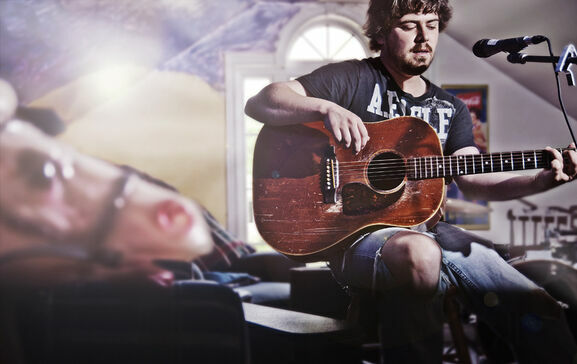 Growing up listening to AC/DC, Springsteen, Nirvana and Tom Waits, Anderson has taken elements of each of his major influences and incorporated them into his craft. With honesty and conviction, he owns the room and demands your ear every time he plugs in. "Picture yourself sitting at the bar in a dark smokey tavern. There is an empty stage a few feet away. A fellow steps to the microphone, guitar in hand and begins to sing. The first words out of his mouth stops every conversation as all heads turn to listen. He sings about betrayal, and other heartbreaking experiences, with such emotion that you think these things may have happened to him on his way to play tonight’s show."